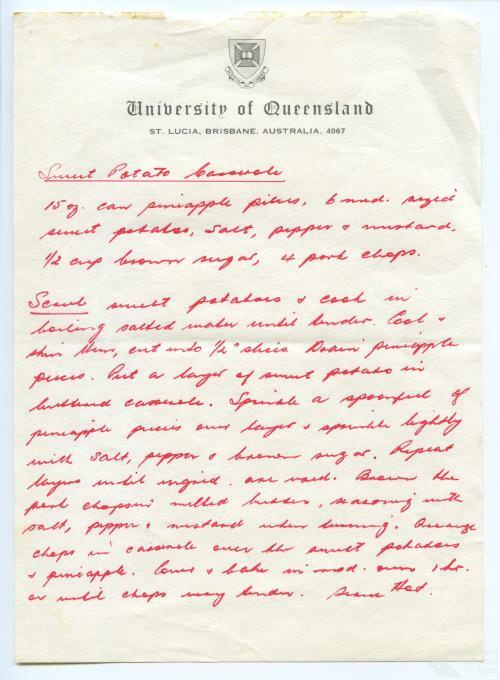 'Sweet Potato Casserole' c1961, a recipe found in Angel Rendle-Short’s notebooks, 2006. Collection of Francesca Rendle-Short. 'Sweet Potato Casserole', from Golden Circle tropical recipe book, c1960.